I'm looking forward to the football season starting and glad Rafa Benitez has gone (having achieved all he was ever going to with Liverpool), with Roy Hodgson now on board to lead the mighty reds. 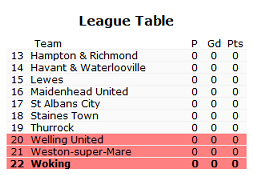 Yesterday I wandered past the local (Woking) football ground and noticed they were playing Luton (where my mate Ben is from) in a friendly, so I thought I'd have a look online this morning to see how they got on (Luton won 2-1). 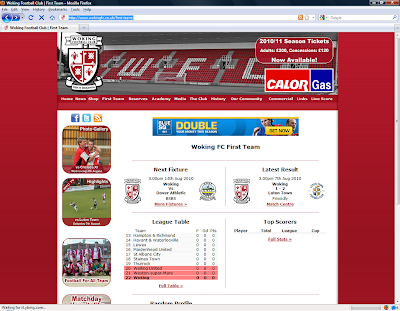 Two things struck me from the Woking FC website - firstly that a club at this level is using YouTube to upload their match highlights and get additional exposure, which is a good sign given how technologically naive football clubs were when I was involved with them a decade ago. 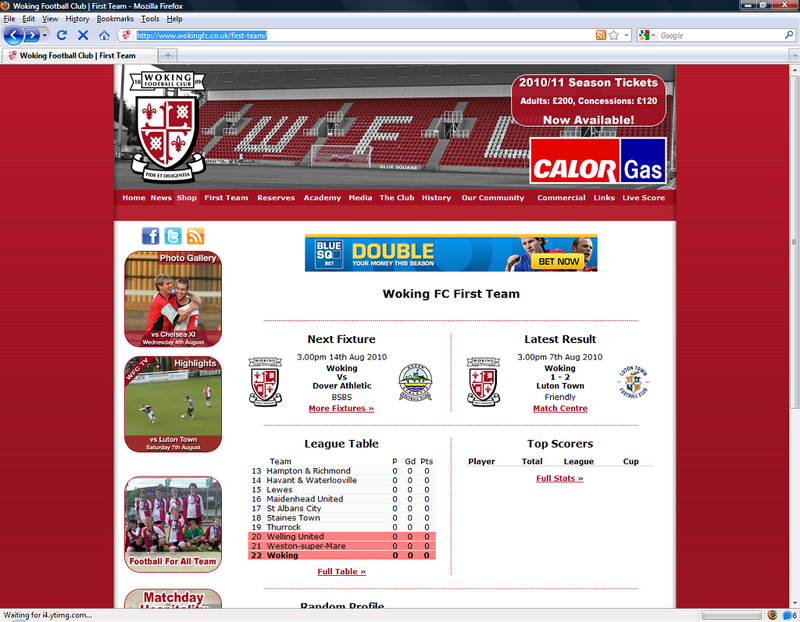 The other thing was the league table shown on another page on the site: And zoomed in: Seriously, if you were the last team in the division you're in alphabetically you wouldn't show a league table with you in last place on your own official website before the first game was played would you?